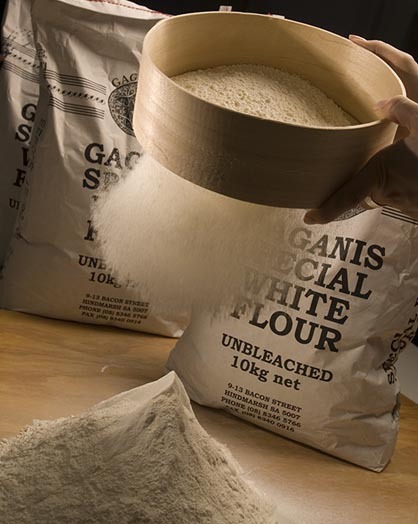 One of our key flour products is the highly sought after Gaganis Special White Flour (registered Trade Mark). The flour is an unbleached white flour made from the premium part of the wheat grain. The flour produces high quality breads and pastries. Gaganis Special White Flour is made for us to a specific formula that assists with the production of quality bakery products. The rich white colour results from the fine cut of wheat used to produce the flour. 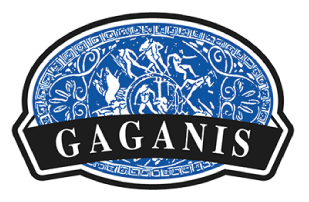 Gaganis Special White does not contain any additives or preservatives and the flour is not bleached. Gaganis Special White Flour is packaged in 10kg sacks. Occasionally due to popular demand, we supply 5kg packaged flour at various times of the year. Yeasts (fresh and dry) and bread improvers complete our range of baking goods for your commercial or household baking needs. Complement your baking range with other important ingredients such as dates, raisins and sultanas to make that perfect fruit loaf.